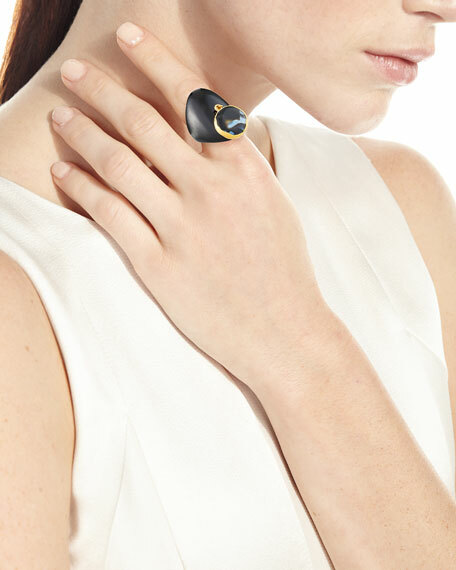 NEST Jewelry ring with black agate charm. 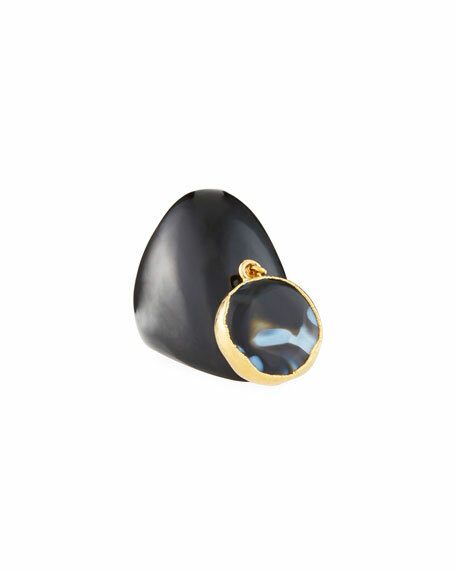 Wide, tapered band in black horn. Round dangle with black agate. African Turquoise Tassel Pendant Necklace, 37"
Jasper Tassel Necklace w/ Black Horn, 36"